The children in Mrs. Anders’ Pre-K class are loving a new set-up this year: two classrooms! 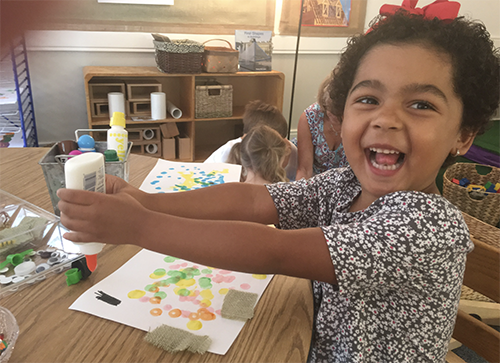 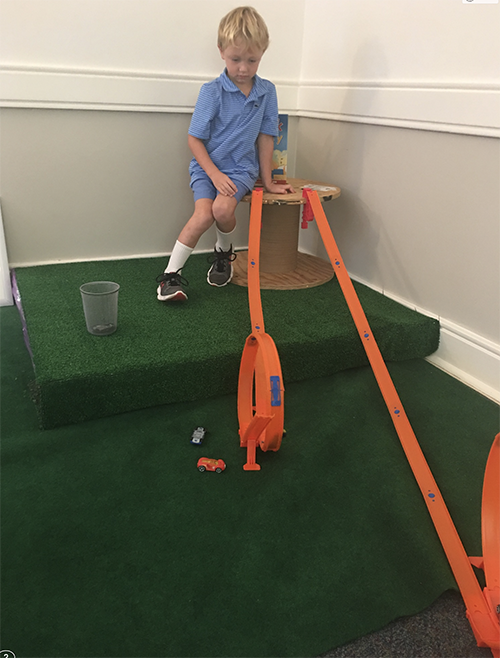 The bonus room allows the children a special space for building, creating and process art…things that sometimes can’t be picked up at the end of the day or moved to make way for snack or circle time. 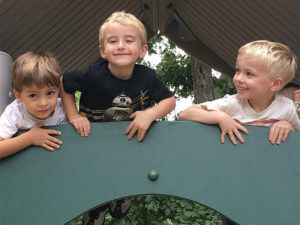 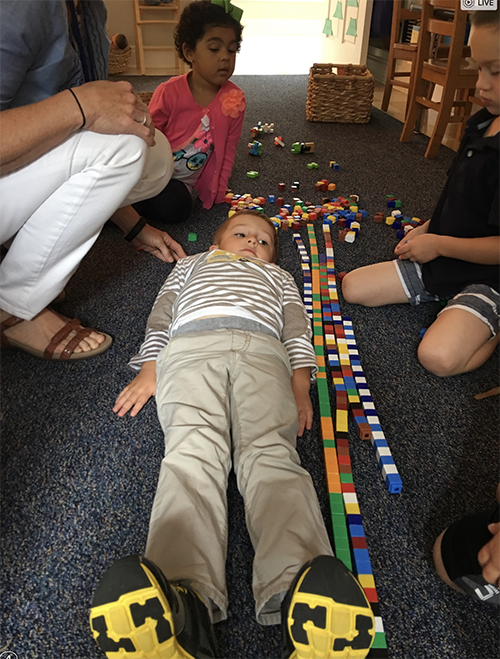 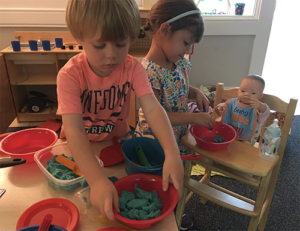 Anders said that her classroom environment is designed to invite the children to explore, examine, question, predict, test, investigate, use trial and error and manipulate materials at their own pace, following their own interests and learning in their own style.